Greetings and salutations boys and girls! New-ish to the forum, and I've been shamed into finally introducing myself! 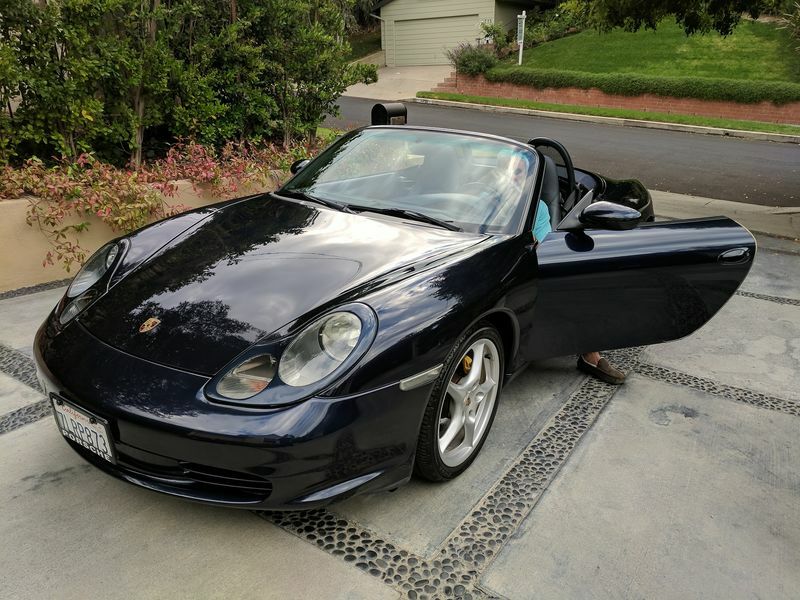 After 10 years of crashing Ducatis I decided it was time to focus my attention on toys that were less deadly, so I bought my Midnight Blue 2004 Boxster in October and am in love. Paid $8100 for 68k miles on the odometer and in pretty great shape. I haven't really *done* anything special to the car, but somehow I've managed to spend $2k+ just catching up on maintenance and fixing nicky nacky stuff (dome light, radio installation, oil change, break fluid, serpentine belt, driver's airbag switch, etc). 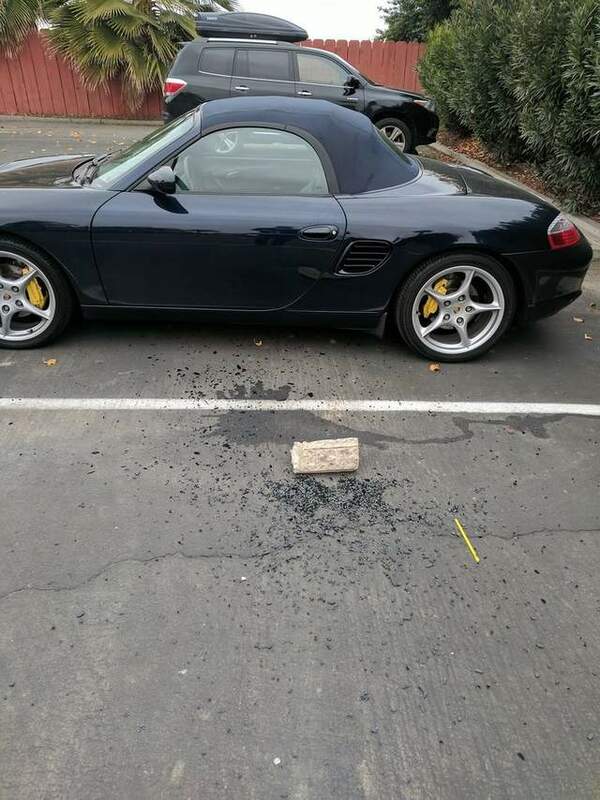 Can't believe my luck: I stopped at a hotel by the freeway last night and woke up to see that someone broke into the car RIGHT NEXT TO MINE. I almost crapped my pants. A man after my own tastes. Tell me more? Crashing ducatis on the racetrack, I hope? I had a similar issue with my spoiler cover. I noticed it was loose and ended up pop riveting it on. I had a 2007 Sport Classic (I miss that bike!! ), two different 1098s, and my last bike was a 2012 Aprilia Tuono -Great bike for sport touring! I used to track them at Buttonwillow, Willow Springs, and Chuckwalla, but (terrifyingly) all of my accidents were the result of canyon rides where my stupid brain never knew when to slow down and be safe... Ultimately, I exceeded the allowable lean angle for the road conditions a few times and luckily "walked" away with my life and a few screws in my ankle. That's when I realized the problem was between my ears and I had to find another hobby. Thanks guys! I'm near Ford and Aviation these days, very small world, I lived on Catalina and Emerald when I first moved to LA! I noticed it was loose and thought, "hmmmmm I should do something about that." Now it's going to cost me $300 to fix instead of $.03!!! Very interested in doing a few track days! I just got a PCA membership but haven't looked into it too much. What do you recommend? SCCA type racing? Regular track days? Or specific skills training events? 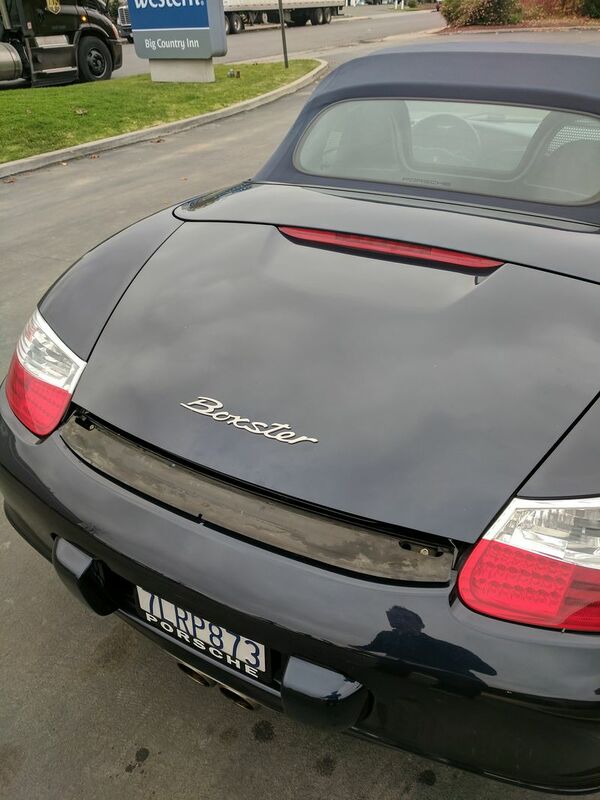 PCASDR ( Porsche Club of America San Diego Region) has a great track DE/TT program with 4 DE weekends each year. The other So Cal regions also have some track days. One of the LA regions does a few 1 day De's at Streets of Willow and sometimes Chuckwalla. It is an extremely well run program and super safe for all drivers at all levels. We have a DE coming up in late Jan., but due to the high demand, the DE portion may be waitlisted already. Last edited by JayG; 12-25-2018 at 06:46 AM.